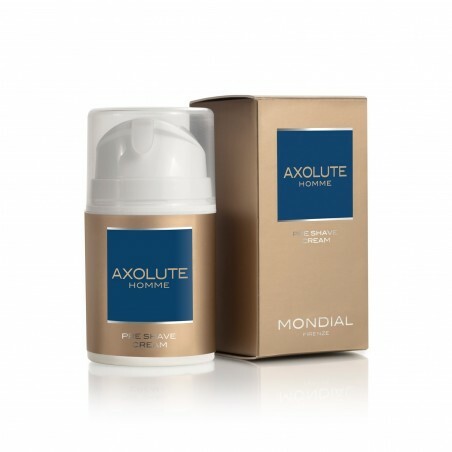 Mondial Axolute Homme Pre-Shave Cream 50ml. Thanks to its special formula, prepares the skin for a pleasant shaving by creating a slight film that protects the skin from irritation caused by the blades of both traditional and electric razors. 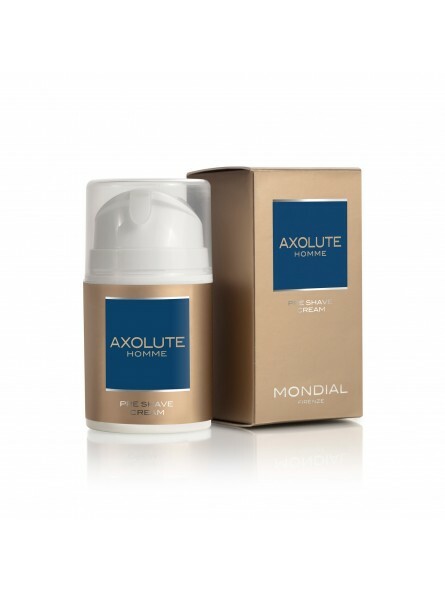 Fragrance - AXOLUTE is a fresh and citrus fragrance that reminds us Mediterranean atmosphere, with spiced notes and with woody and musky base ones. Directions for use: Use a small amount of pre shave cream, wait a few seconds to let it dry and proceed with regular shaving.